In this fourth installment of our five-part series we look at the impact you can have as an accredited Whole Person coach – both locally and throughout the world. We’ll also examine the specific ways professional coach training can up-level your life and impact your future success as the go-to coach for your chosen tribe. If you missed the last post – please go here. Reason #4: A legacy with unlimited income and potential to affect change in a global marketplace. You are a changemaker. You’re committed to fostering positive change for yourself and your clients in all areas of life. As we discussed in Part 1, training to become a professional coach is your first step to enjoying exponential impact, income and influence. It begins by working with individuals and producing transformational results. Light the way: You provide insight and illumination that allow others to see what they can’t recognize on their own. These are the gifts of clarity and perspective. Transform lives: You support your clients to identify and achieve the results they truly want. 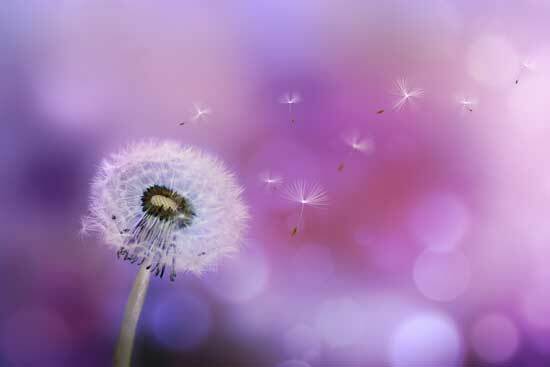 These are the gifts of self-actualization and accomplishment. Lead the way: You serve as a role model to all those around you, living your passions, being who you truly are, and operating at your very best. This is the gift of an authentic role model and an inspiration to others. Monetize the way: You become deeply treasured, loved and valued by others, both as a person and a trusted resource. This is the gift of a sustainable model – a blueprint for living on your own terms. It’s this last point I’d like to focus on for a minute. There are countless ways to monetize your brilliance as a professional coach. And as nearly every form of commerce is now expected to be readily available online, your potential is limited only by your desire and goals (…and a tiny bit of technical know-how). Stop and think for a moment about the growth development tools you’ve used. If you’re anything like me, your bookshelves and computer host a variety of self-development programs and products you’ve invested in over the years. Immersing yourself in such content can have value, especially if you don’t have time or money to invest in attending a live workshop. I’d also bet you’ve learned a lot from these resources. Am I right? Coaching products aren’t just limited to e-books, online courses, apps, and other tools in the digital format. They can just as easily be a physical product like cards, games, workbooks, or bestsellers that contain your personal testimonial and unique approach to the coaching practice. Developing your own coaching products can provide passive streams of income for years if leveraged correctly. Although the creation of content initially requires considerable time and effort to produce, the return on your investment can be well worth it. These products and programs are also ideal positioning tools. They legitimize you as a thought leader and change maker… which takes us back to the concept of legacy. As the owner of your intellectual property, you quickly become the authority of your chosen niche. We have a former student who offers an excellent example: Teresa Rodden. In short, Teresa empowers women who struggle with alcohol and want to change. 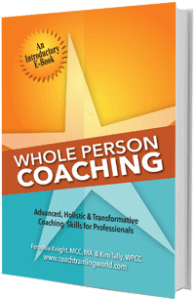 To supplement her coaching sessions, Teresa has written Wholly Sober. A highly personal account of her own life with alcohol, the book’s core message is directly representational of her services: there is more than one way to live sober. She is also currently at work on additional support materials including talks, workshops, and a workbook for Wholly Sober. Online coaching and passive income products offer you more exposure, access to the global marketplace, and streams of income that work for you 24/7. For your clients, they provide affordable access to your wisdom and work, enabling them to progress at their own pace and selectively choose the aspects of change or personal development that interest them most. Think about your personal expertise. What experience is unique to you? Are there shortcuts you’ve developed over the years that save you time on a particular process? How could this information best be communicated to others? Printed guides? Webinars? DVDs? What transformation would you like to make in the lives of others that could be shared from multiple formats? Remember anything is possible! 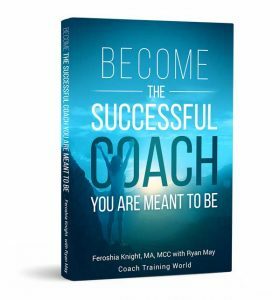 Yours truly is building her legacy with the new book, Become the Coach You are Meant to Be. It’s a step-by-step guide that walks you through the process of cultivating sustainable change through holistic methods – change that begins with you! Packed with real-life stories and sample coaching sessions, you’ll learn how to take the experience and expertise you possess today and transform it all into a deeply rewarding career upgrade or business. p.s. – Circling back to the concept of becoming a subject matter expert, take a minute to watch Teresa Rodden’s interview on a segment of KATU’s Afternoon Live. Such an inspiration!